Few styles capture the great architectural heritage of the south west of England’s conservatories in the same way as a gable. 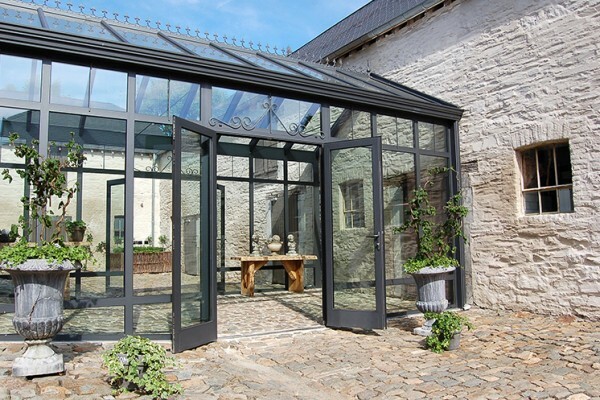 Perfect for modern town houses or more cottage style properties in rural settings, aluminium gable conservatories are versatile and provide a great deal of flexibility, making them ideal for the lifestyles of many who own them. 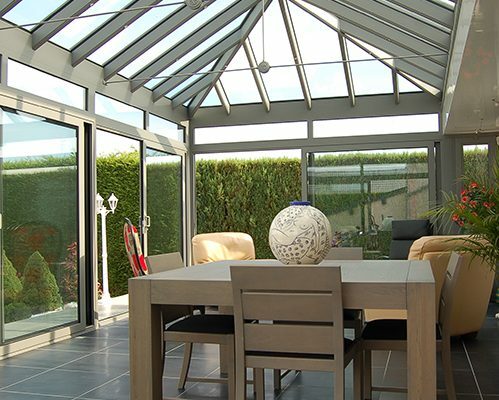 Often reminiscent of ornate orangeries or grand, classical conservatories from years gone by, these larger conservatories have an airy feeling due to the pitched roof and can be used to create additional living space, as a sun room or as an internal planting area, as preferred. 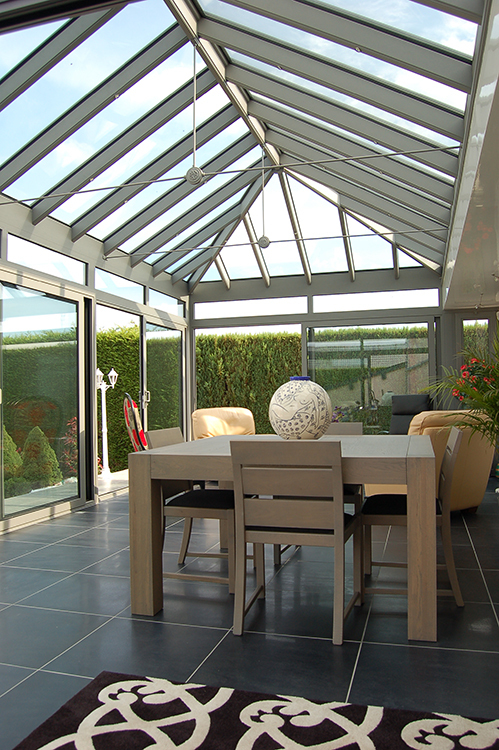 With a higher roof line, they also remain cooler in the height of summer compared with some other types of conservatory. When installed, aluminium gable conservatories add to the architectural design of many homes and frequently present a consistent shape at the front elevation. With glazing that extends to the apex of the roofline, they also allow vast amounts of light to flood in, so seldom reduce the amount of light a home receives to any discernible degree. As well as creating a veritable sense of grandeur at the rear of a property, a gable conservatory can also augment the feeling of sheer presence to properties large and small. They are particularly effective with older, period homes where their design aesthetic is often sympathetic to that of the original architecture. Furthermore, the modern material of aluminium is usually very in keeping with other architectural elements of a home, from window frames and doorways to soffits and archways. Of course, aluminium can be painted with any colour that you like, so it can either be used as a feature or to sit in the background, fitting in with the rest of the tones of your home. Cresting and finials can also be added to the apex of your gable to provide some exquisite detailing. Such architectural motifs can also be combined with other elements of the conservatory, if wanted, such as the doorways. Alternatively, if you are after clean, modern lines with no detailing at all, then this can also be accommodated. If you are looking at aluminium gable conservatories as a possible way of developing your home, then do not hesitate to contact Countryside Windows. We have years of expertise with this sort of architecturally pleasing installation in the south west and will be happy to offer you the benefit of our experience, no matter what sort of property you have.